It is safe to assume that all of us have slipped and fallen at one point or another in our lives. When you were a child, you likely slipped and fell when riding your skateboard. As a parent, you may have slipped and fallen on a straggler Matchbox car. As an employee, you may have fallen on a loose leaf of paper. Typically, slip and falls result in nothing more than embarrassment for the fallen party, but every once in a while, slip and falls result in serious injury. If you recently fell on another person’s or entity’s property, and if that fall resulted in serious bodily harm, extensive medical bills, and other damages, you may wish to pursue compensation for your damages. However, before you do so, know that you should have substantial evidence to back your claim. Invitees: An invitee is a person who enters a property upon the expressed or implied invitation of the property owner. An invitee can be someone who enters the property either as a business or a public visitor. A business visitor is a person who is invited onto the property to fulfill a business dealing. A public invitee is a person who is invited to enter or remain on the land for purposes for which the land is held open to the public. A property owner owes the highest duty of care to invitees. 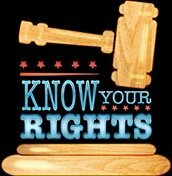 Licensees: A licensee is a person who enters another’s property by virtue or consent of a property owner. Though this person has permission to enter or remain on the land, he or she does so for his or her own purposes only. This person’s presence does not offer any benefit to the property owner, unlike the presence of an invitee. Property owners owe a duty of care to licensees, but it is not as great as the duty of care which they must show invitees. Trespasser: A trespasser is a person who is not invited onto another person’s property at all, or who remains on another person’s land without the owner’s express or implied permission. A property owner does not owe any duty of care to trespassers, save for to avoid willful or wanton conduct. If you establish that you are either an invitee or a licensee you may have a case. The condition existed for such a length of time that any other reasonable business owner or property owner would have known about the condition. Some types of evidence that may go toward proving your case include maintenance logs, complaints from other guests of the property, incidence reports, photos, or video footage. 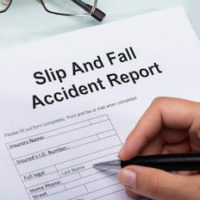 The best route toward proving your slip and fall claim is to work with a Tampa slip and fall attorney. The lawyers at Barbas, Nuñez, Sanders, Butler & Hovsepian are prepared to help you investigate your claim, gather the necessary evidence, and negotiate on your behalf for a fair settlement. Get started on your claim today – contact our Tampa firm as soon as you are able.